Take Advantage of our FREE quote by calling 1-800-450-5319 or submit our form. A1 Overseas International will ship to Rwanda! Shipping a vehicle overseas to another country is an ordeal that must be handled by professionals with experience. For example, when you need to ship a vehicle to Rwanda from the United States, you will need to adhere to the country’s import regulations. No vehicle or goods of any kind can be permitted into a country without acceptance which means that the import rules must be followed exactly. Any professional auto transport company dealing with international shipping will understand the process and all that is entailed to get a vehicle legally into another country. 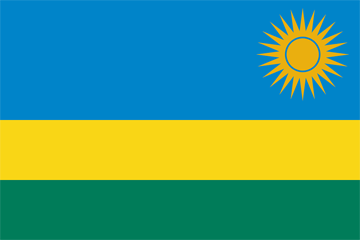 Before you even consider transporting a vehicle into Rwanda, contact the Embassy of the Republic of Rwanda. They will give you up-to-date information on the rules and guidelines for vehicle import from the U.S. You must assure that your vehicle meets the criteria and that you are able to fulfill your obligations before the vehicle even reaches one of the seaports nearest to the country. Then, if accepted, the vehicle will need to be transported over land to Rwanda. There are certain things that you can always expect to be needed when you are shipping a vehicle to Rwanda. Specific forms of identification as well as certain documentation, such as a license, Bill of Lading, title and registration, passport, and visas are all things you should have prepared. You will also want to make sure that you have proof of paid tariffs. For Rwanda, you will need to pay four different types of taxes. These include custom duties, value added taxes, consumption taxes, and withholding taxes. Once these are paid and all of the proper criteria has been followed and proven, your vehicle should be allowed into the country legally. Contact us for a FREE quote by filling out the form or calling 1-800-450-5319!